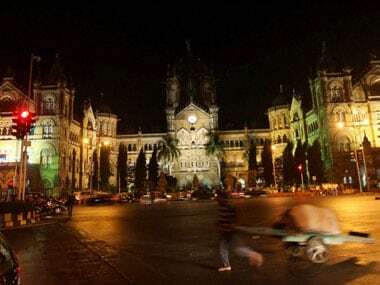 Mumbai: The Railway Ministry's plan to convert the 130-year-old Chhatrapati Shivaji Maharaj Terminus (CSMT) building in south Mumbai, into a museum, has run into a controversy with architects and rail employees raising objections over the move. While the architects say it is "difficult" and "impractical" to turn this iconic complex, the administrative headquarters of the Central Railway (CR), into a museum, the railway unions say relocation will cause inconvenience to the employees currently working there. Railway Minister Piyush Goyal, during his visit to the CSMT in November last year, had announced to convert this busy train terminus into a "world-class museum". On Wednesday, the railway authorities invited expression of interest (EoI) to develop the museum and also formed an advisory board to execute the plan. As per the directions of the under secretary (Establishment) of the Railway Board, the advisory board will be chaired by the General Manager of CR and comprise five other members, who will "conceptualise, finalise and recommend" the plan for the proposed museum. Conservation architect Vikas Dilawari expressed his reservations over the project saying, "A museum requires many things like a narrative, a storyline. It also requires a curatorial team for the display of collection." "The CSMT is roughly as huge as the Chhatrapati Shivaji Maharaj Vastu Sangrahalaya (CSMVS) museum (also in South Mumbai). So it's not so easy to convert it into a museum. The CSMT was designed for a different purpose," he added. Listed as a World Heritage structure in 2005, this imposing structure was designed by British architect Frederick William Stevens. Stevens, who worked for the British colonial government in India, was entrusted with the task of designing the CSMT (formerly Victoria Terminus) building in 1877. It took 10 years to complete the structure, which is built in the Indo-Saracenic style of architecture. The CSMT is the originating and terminating station for hundreds of express and suburban trains, in which around 30 lakh people commute daily. The building already has a small museum inside it. Another noted city-based architect said the plan to create a museum will face practical hindrances and challenges. "Museums are created in the buildings that have outlived their original usefulness, like the Orsay Museum in Paris. The CSMT is a fully functional building and was integrally designed to be a train station," he said. "Only the lower floor of this building, which is a bit redundant, can be converted into a museum to some extent. The offices there can be relocated," he opined. "The plan will hit practical road-blocks too...Do you think that an old engine can be placed on the first floor to be showcased as an artifact? A rail museum would be incomplete without the railway tracks. So where is the space for it (to lay the tracks)?," he asked. The railway employees are also up in arms against the proposal. Central Railway Mazdoor Sangh (CRMS), a recognised rail union of CR employees, had recently held a protest against the move at the headquarters and vowed to continue doing it till the ministry withdraws its plan. "This building is a matter of pride not just for the CR, but for the Indian Railways and the country. The railway minister's plan to convert the grand building into a museum would damage its grandeur. Employees will suffer as they have to move out from here. We will oppose the plan at any cost," Pravin Bajpai, general secretary of CRMS said. The railway administration, however, says that once the museum is complete, it would be even more remarkable. "The railway department had done a proper homework before the announcement was made. So, they should better wait and watch. Once done, it would be a very nice thing to watch. It will be even more monumental," a top CR official said.